We've helped over 25,000 clients make the most of their overseas money transfers. 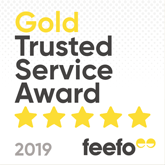 We offer great rates and expert support, and we’re proud winners of Feefo’s Gold Trusted Service Award. Contact our currency specialists today to see how we can help you. Please complete the form and one of our currency experts will call you back shortly. Your money is important, we help you make the most of it. At Global Reach, our approach is simple; we want to help you make smarter currency decisions, to help you get the most from your overseas money transfers. If you need to send money overseas, we can move your funds abroad for property purchases, pensions, and everything in between. Our personalised service and range of products make sure we can tailor your currency transfer around your needs. We focus on the details, so you don’t have to. We have happy customers too; we've even won the Gold Trusted Service Award from Feefo. We’ve helped our clients send their life savings overseas when they emigrate, organised frequent salary transfers for those living abroad temporarily, and arranged lump-sum and regular mortgage payments for holiday home purchases all over the world. Our Dealing team is made up of some of the most experienced foreign exchange experts in the industry. They help our clients with currency every day and have moved money overseas for our customers during some of the most volatile global events and market movements. so you can feel confident your money’s in the right hands. If you want to move your money straight away, a Spot Contract is for you. You can make a transfer as soon as you need; whether you’re making the most of a positive exchange rate movement or just want to move your money quickly, our Dealers will help you find a great rate. With a Forward Contract you can plan ahead and lock an exchange rate in place for up to two years. A Forward Contract is a smart choice if you’re buying property overseas, need to know exactly how much your currency will cost, or want to protect your money from an adverse market shift. A Stop-Loss Order allows you to choose your maximum budget rate and we’ll make the trade automatically should it reach that level, to save you from further losses. A Limit Order allows you to target a better exchange rate you’d like to transfer at and if a positive market fluctuation occurs to reach it, your trade will be made automatically to capitalise on the movement. Our team will be in touch to discuss your requirement and provide your quote. It’s free to open an account with us and there is no obligation to trade. You’ll have access to live quotes, a personal currency specialist, up to date market news, and our online trading platform. Talk to your Dealer about your currency requirements and agree your exchange rate. Send your money to the Global Reach segregated client account and we will send your funds to your nominated account recipient or hold them on your account until you’re ready to transfer them. Your currency is now in your nominated account ready to go. You’ll receive a payment confirmation as soon as your money has been sent. We can help you lock-in an exchange rate for up to two years – great for overseas property purchases. Have access to one of our experienced currency Dealers to help you make informed foreign exchange decisions. Access to Global Reach Online, so you can review and organise your transactions. Regular market news and rate alerts to keep you in the loop. Authorised FCA E-Money Institution. Client monies are kept in segregated accounts for your protection. Please complete the form to receive our brochure. By clicking submit, you agree to being contacted by a member of our sales team. Sign up now to receive our weekly market update.